Accidental medication poisoning in children is still possible despite child resistant packaging. 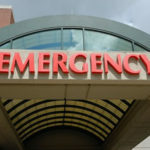 According to statistics provided by Safe Kids Worldwide every 9 minutes a child is admitted to an emergency room in the US suffering symptoms of accidental medication poisoning. Read more about how child resistant caps may not be enough to stop your child from accessing medication and ending up in the emergency room.